The Wally Class will make its return to the Loro Piana Superyacht Regatta in Porto Cervo in June and there are 12 yachts already registered to take part. Galma was launched in 2003 by Wally and over the years has taken part in many of the worlds biggest superyacht regattas. 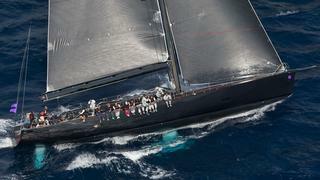 She has many victories in the Wally Class including at the Maxi Yacht Rolex Cup and the Wally Class Hublot Trophy. The owner and his Spanish race-crew compete in all four events of the Wally Class season. The Wally Class will make its return to the Loro Piana Superyacht Regatta in Porto Cervo in June and there are 12 yachts already registered to take part. 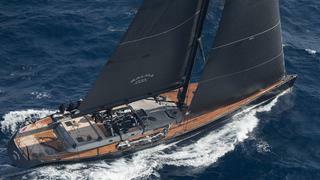 Galma was launched in 2003 by Wally and over the years has taken part in many of the worlds biggest superyacht regattas. 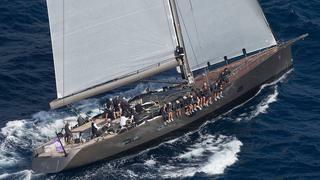 She has many victories in the Wally Class including at the Maxi Yacht Rolex Cup and the Wally Class Hublot Trophy. The owner and his Spanish race-crew compete in all four events of the Wally Class season. J One (originally Magic Carpet) was one of the first yachts to be launched by Wally but she has not lost any of her performance thanks to the care of her loving owner. In a glittering 19 year career, J One has 13 regatta victories across the Wally Class circuit, including at Les Voiles de Saint Tropez, the Maxi Yacht Rolex Cup and the Palmavela. J One (originally Magic Carpet) was one of the first yachts to be launched by Wally but she has not lost any of her performance thanks to the care of her loving owner. In a glittering 19 year career, J One has 13 regatta victories across the Wally Class circuit, including at Les Voiles de Saint Tropez, the Maxi Yacht Rolex Cup and the Palmavela. With _Kenora _Wally faced the difficult task of combining large volume with light displacement. She has a unique deck layout that provides seating for 16 guests right next to the companionway. Kenora still belongs to her original female owner, who very often takes the helm, alternating the steering with her partner. Kenora is a regular on the Wally Class circuit. With _Kenora _Wally faced the difficult task of combining large volume with light displacement. She has a unique deck layout that provides seating for 16 guests right next to the companionway. Kenora still belongs to her original female owner, who very often takes the helm, alternating the steering with her partner. Kenora is a regular on the Wally Class circuit. Lyra (formerly Carrera) was the first yacht to employ the performance lifting keel technology that was developed by Wally and is now seen on many of the world's superyachts. 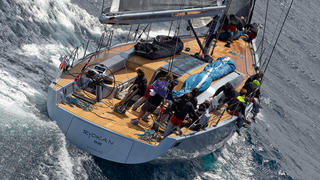 She was renamed Lyra by her current owner and given an extensive refit to make her more competitive in the Wally Class. Among other changes she is now four tons lighter and has a new mast design, new sail plan and new hardware. Lyra’s owner loves racing and takes part in all of the Wally Class events during the season. Lyra (formerly Carrera) was the first yacht to employ the performance lifting keel technology that was developed by Wally and is now seen on many of the world's superyachts. 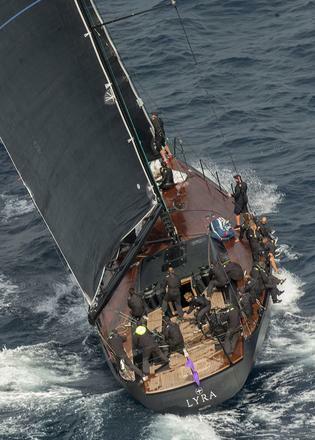 She was renamed Lyra by her current owner and given an extensive refit to make her more competitive in the Wally Class. Among other changes she is now four tons lighter and has a new mast design, new sail plan and new hardware. Lyra’s owner loves racing and takes part in all of the Wally Class events during the season. Magic Blue (formerly Magic Carpet Squared) was sold to her current owner in 2013. 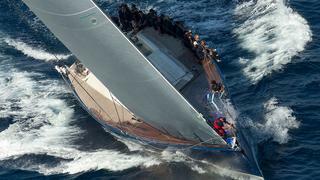 She is the most successful yacht in the Wally Class, with 14 regatta victories over the years, including more than one win at each regatta on the circuit. Yacht designer Luca Bassani, the founder of Wally, is the tactician on board. The all Italian crew also features several former America’s Cup sailors. Last year Magic Blue won Les Voiles de Saint Tropez in the Wally Division, proving that she is still one of the most competitive yachts in the fleet. Magic Blue (formerly Magic Carpet Squared) was sold to her current owner in 2013. 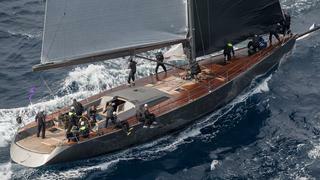 She is the most successful yacht in the Wally Class, with 14 regatta victories over the years, including more than one win at each regatta on the circuit. Yacht designer Luca Bassani, the founder of Wally, is the tactician on board. The all Italian crew also features several former America’s Cup sailors. Last year Magic Blue won Les Voiles de Saint Tropez in the Wally Division, proving that she is still one of the most competitive yachts in the fleet. Magic Carpet Cubed is one of the yachts in the box-ruled WallyCento series. She is fast in all conditions, coping effectively in light winds and strong winds. She also proves that racing and comfort aren't mutually exclusive. She is the third Wally ordered by passionate owner and racer Sir Lindsay Owen-Jones. He has won a total of 22 regattas with his three Wallys: Magic Carpet (now J One), Magic Carpet Squared (now Magic Blue) and Magic Carpet Cubed. Magic Carpet Cubed engages in tight racing with Open Season at many of the regattas, including at the 2014 Loro Piana Superyacht Regatta. This year is likely to be no different. Magic Carpet Cubed is one of the yachts in the box-ruled WallyCento series. She is fast in all conditions, coping effectively in light winds and strong winds. She also proves that racing and comfort aren't mutually exclusive. She is the third Wally ordered by passionate owner and racer Sir Lindsay Owen-Jones. He has won a total of 22 regattas with his three Wallys: Magic Carpet (now J One), Magic Carpet Squared (now Magic Blue) and Magic Carpet Cubed. Magic Carpet Cubed engages in tight racing with Open Season at many of the regattas, including at the 2014 Loro Piana Superyacht Regatta. This year is likely to be no different. Nahita (formerly Bagheera) is the sixth yacht in the Wally 80 design. She made her Wally Class debut in 2015 and gradually improved throughout the season. Her international crew will look to make further gains in the 2016 season as they take on the other 24 metre Wally’s J One, Lyra, Tango G and Tilakkhana. Nahita (formerly Bagheera) is the sixth yacht in the Wally 80 design. She made her Wally Class debut in 2015 and gradually improved throughout the season. Her international crew will look to make further gains in the 2016 season as they take on the other 24 metre Wally’s J One, Lyra, Tango G and Tilakkhana. Open Season was originally built under the WallyCento box rule but last winter she underwent a significant refit to enhance her competitiveness in the Wally racing circuit. Major work included lengthening her by 2 metres, and increasing her draft from 6.2 to 7 metres. 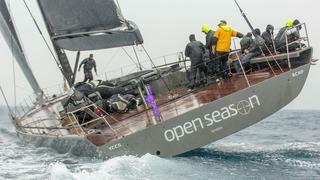 Open Season emerged from her refit to win four of the five regattas on the 2015 circuit. This also meant she won the overall Wally trophy. Her owner is the current International Maxi Association president and he will be hoping for another strong year. He is passionate about the Loro Piana Superyacht Regatta, having participated many times with both Open Season and with his previous Wally, now named Sensei. Open Season was originally built under the WallyCento box rule but last winter she underwent a significant refit to enhance her competitiveness in the Wally racing circuit. Major work included lengthening her by 2 metres, and increasing her draft from 6.2 to 7 metres. Open Season emerged from her refit to win four of the five regattas on the 2015 circuit. This also meant she won the overall Wally trophy. Her owner is the current International Maxi Association president and he will be hoping for another strong year. He is passionate about the Loro Piana Superyacht Regatta, having participated many times with both Open Season and with his previous Wally, now named Sensei. Ryokan 2 _is one of the most iconic Wally superyachts. In 2008 she won the ADI Compasso d’Oro and in 2009 the German Design Preis. In 2015 _Ryokan 2 won the Wally Trophy of the Group 2 category, reserved to the Wallys with a restricted sail inventory, racing in a more Corinthian spirit. Ryokan 2 is a regular participant in the Wally Class racing circuit, and spectators of the Loro Piana Superyacht Regatta will be keenly watching this yacht and her crew. Ryokan 2 _is one of the most iconic Wally superyachts. In 2008 she won the ADI Compasso d’Oro and in 2009 the German Design Preis. In 2015 _Ryokan 2 won the Wally Trophy of the Group 2 category, reserved to the Wallys with a restricted sail inventory, racing in a more Corinthian spirit. Ryokan 2 is a regular participant in the Wally Class racing circuit, and spectators of the Loro Piana Superyacht Regatta will be keenly watching this yacht and her crew. Tango G is the flush deck version of the Wally80 design, and features a slim deck house with a wide central skylight. She has a passionate owner who constantly strives to improve her racing performance. The owner and crew race Tango G at all of the regattas on the Wally Class circuit. Tango G is the flush deck version of the Wally80 design, and features a slim deck house with a wide central skylight. She has a passionate owner who constantly strives to improve her racing performance. The owner and crew race Tango G at all of the regattas on the Wally Class circuit. Launched as Dangerous But Fun, Tilakkhana was commissioned by an owner who loves racing. 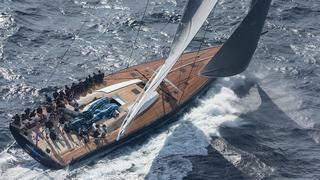 She features the canting keel of the successful Wally80 design. When her new owners bought her in 2015, they were keen to continue the racing pedigree of the yacht and took part in the last few races of the 2015 season. With her female owner at the helm, Tilakkhana will take part in all of the Wally regattas this year. Launched as Dangerous But Fun, Tilakkhana was commissioned by an owner who loves racing. 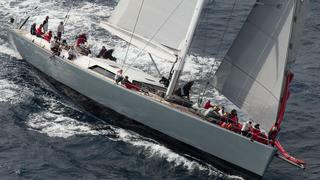 She features the canting keel of the successful Wally80 design. When her new owners bought her in 2015, they were keen to continue the racing pedigree of the yacht and took part in the last few races of the 2015 season. With her female owner at the helm, Tilakkhana will take part in all of the Wally regattas this year. Y3K is a competitive racer and has a very powerful sail plan. 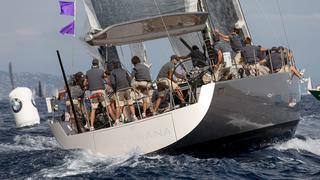 She won three consecutive Maxi Yacht Rolex Cups from 2009 to 2011. Y3K is the third Wally to be ordered by German yachtsman Claus-Peter Offen. He and his racing team have won 11 Wally regattas over the years, both on Y3K and on his previous Wally, Galma. Y3K is a competitive racer and has a very powerful sail plan. 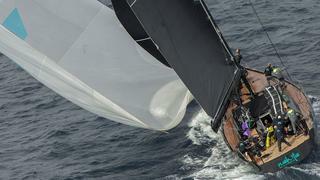 She won three consecutive Maxi Yacht Rolex Cups from 2009 to 2011. Y3K is the third Wally to be ordered by German yachtsman Claus-Peter Offen. He and his racing team have won 11 Wally regattas over the years, both on Y3K and on his previous Wally, Galma.